As you all know I am a big Sleek fan, especially their blushers and eyeshadow palettes! I have tried other products from Sleek but the blushers and palettes are by far the best quality vs value for money. 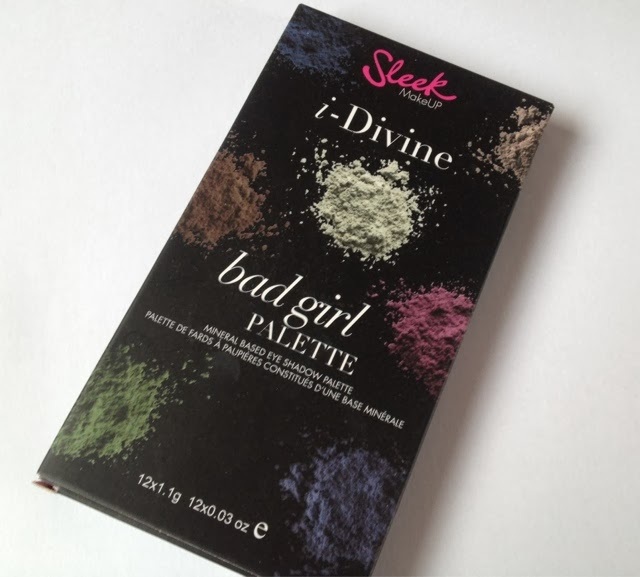 Sleek i-Divine Bad Girl palette RRP £7.99. As you probably all know Sleek is available in most Superdrug stores. 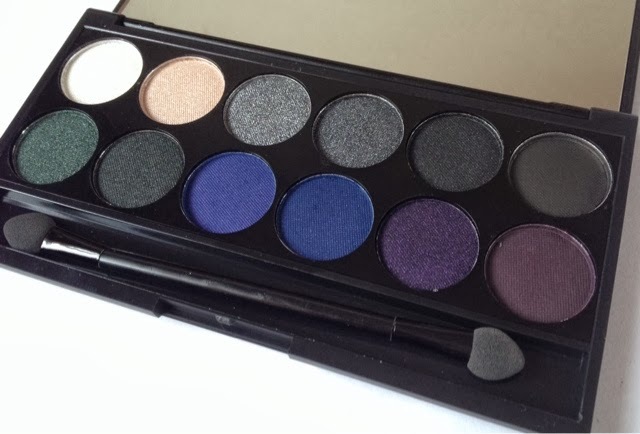 This palette has 12 shades which I think are perfect for creating smokey eye looks. 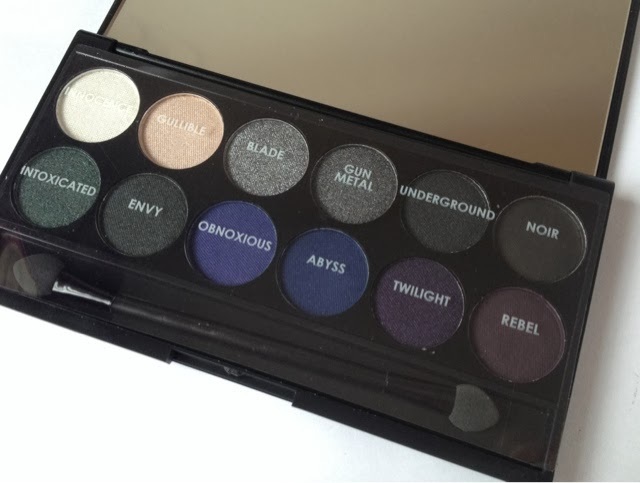 L-R Innocence ~ Gullible ~ Blade ~ Gun Metal ~ Underground ~ Noir ~Intoxicated ~ Envy ~ Obnoxious ~ Abyss ~ Twilight ~ Rebel. 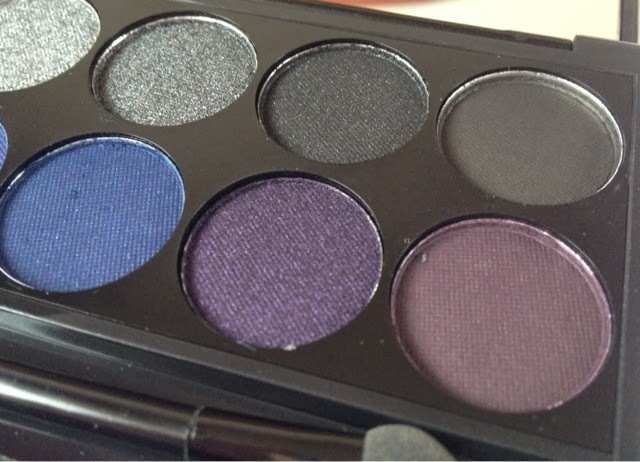 This palette has a mixture of shimmer and matte shadows and as always the staying power is second to none! £7.99 is a real bargain for 12 great quality shadows, which come in a 'sleek' black sturdy palette with a large mirror in the lid. 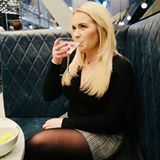 The shadows are easily blend-able and I don't find them to have to much fall out meaning less waste, the only downside is the rubbish applicators which come in most high street eyeshadow palettes which are just useless and hold onto most of the product. I will definitely be getting a lot of use out of this for nights out! 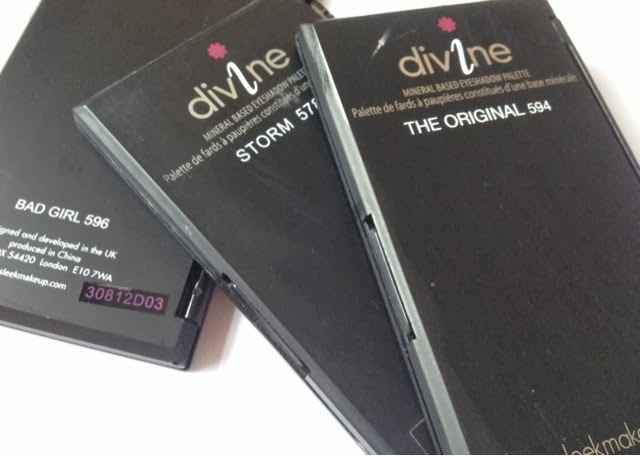 So that's 3 Sleek palettes I have in my collection now, Bad Girl, Storm and Original. I have a slight obsession with eyeshadow palettes (I am not going to count them) and these are some of my favourites. 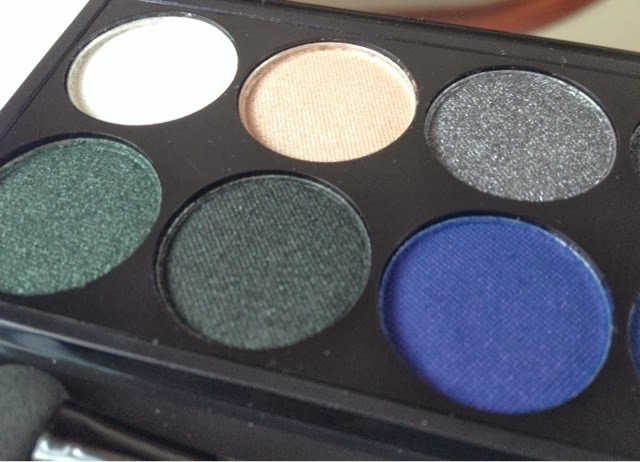 Do you own any Sleek eyeshadow palettes? I love Sleek, I haven't got at palettes yet..but I do own some blushers and if they're anything to go by then these should be fab!